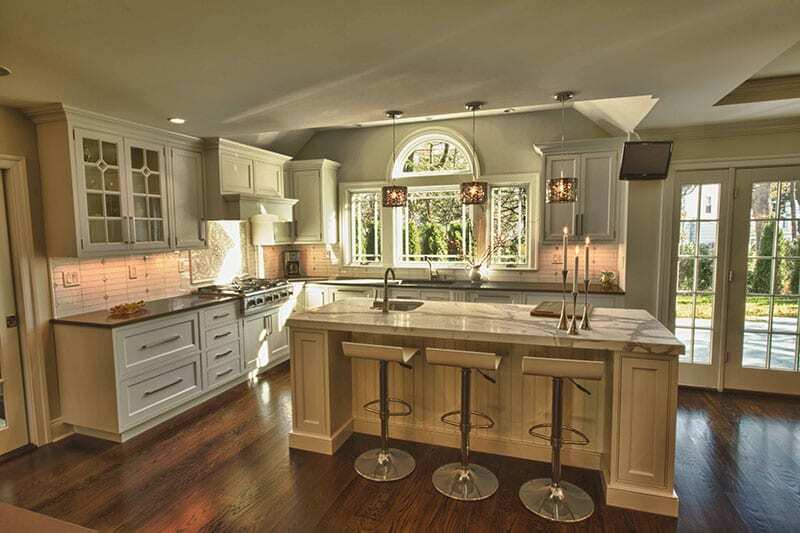 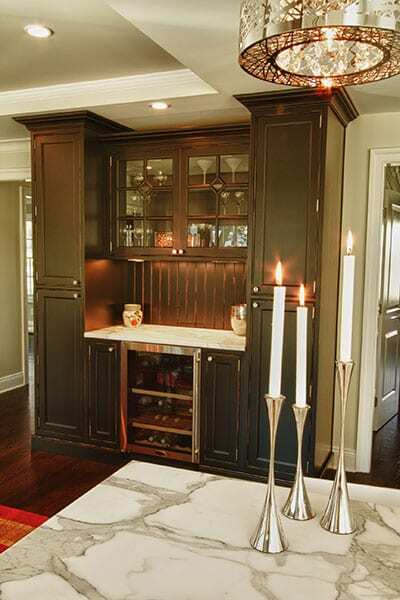 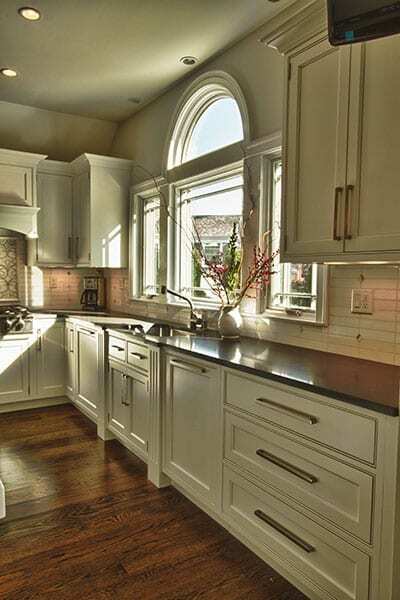 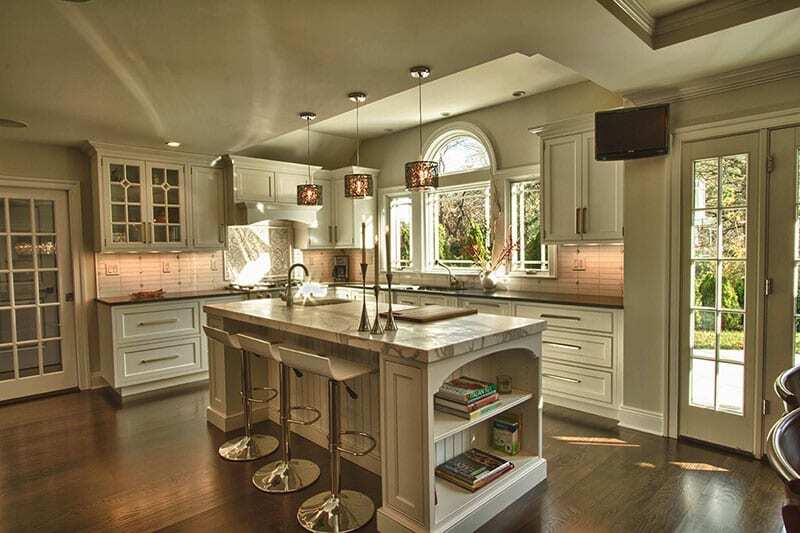 Transitional Kitchen | The Creative Edge, Inc.
* White painted Craft-Maid custom cabinets. 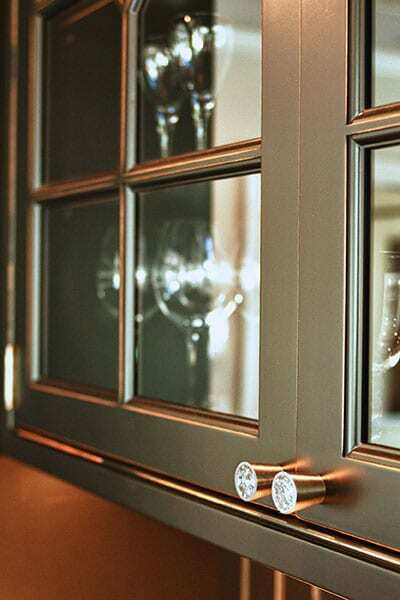 * Black painted distressed breakfront in the breakfast room. 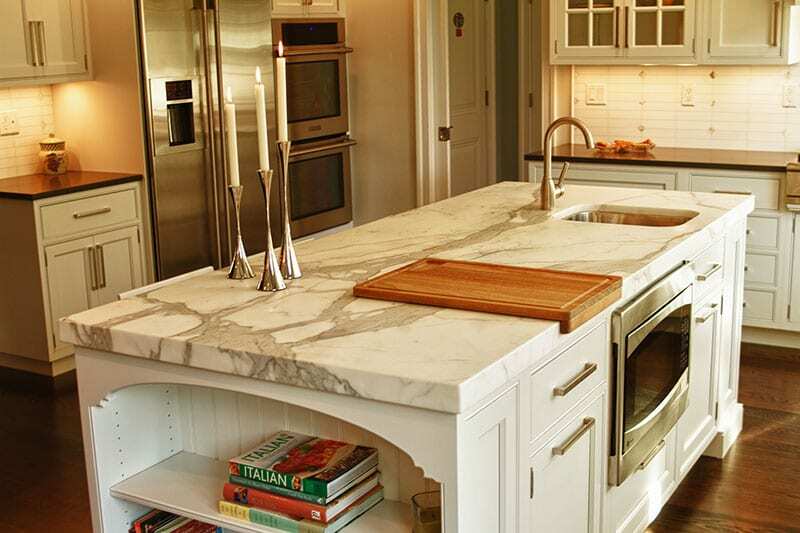 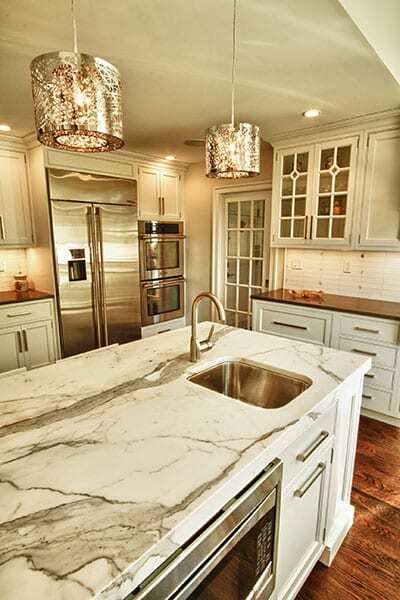 * Calcutta marble island countertop. 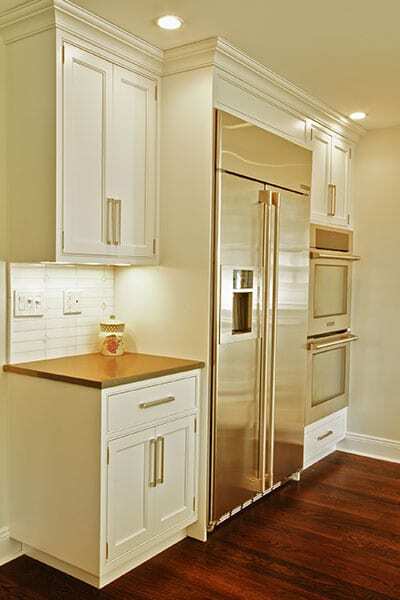 * Wolf, Sharp & Thermador appliances.